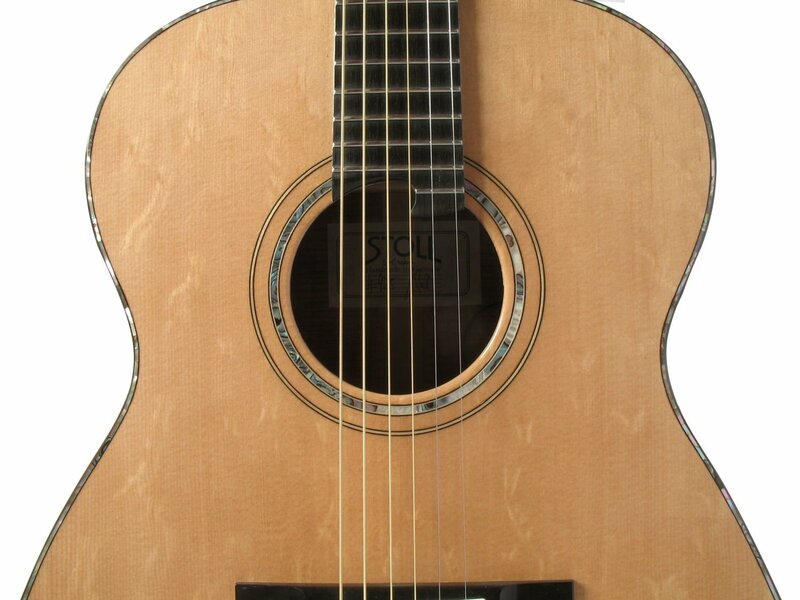 A dream comes true. 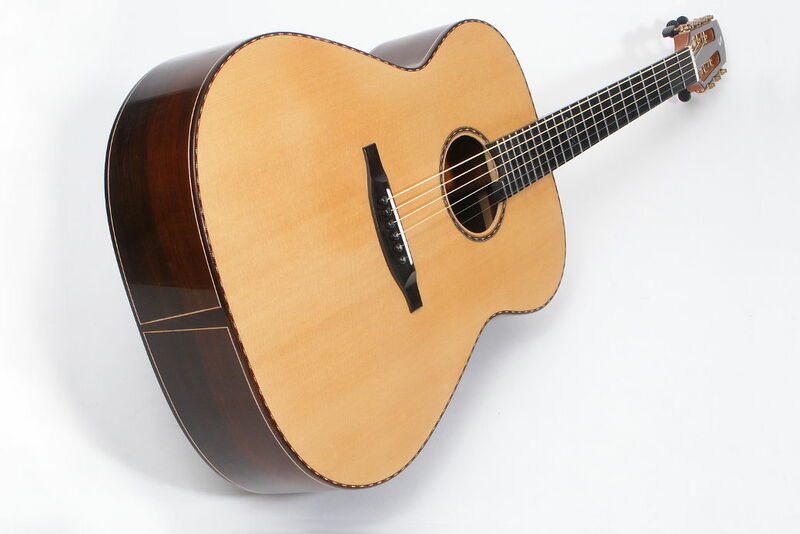 Exclusively rare and exceptional woods of highest quality in connection with each instrument's own interior fine-tuning and finest machine-heads result in a sound experience of the highest quality. 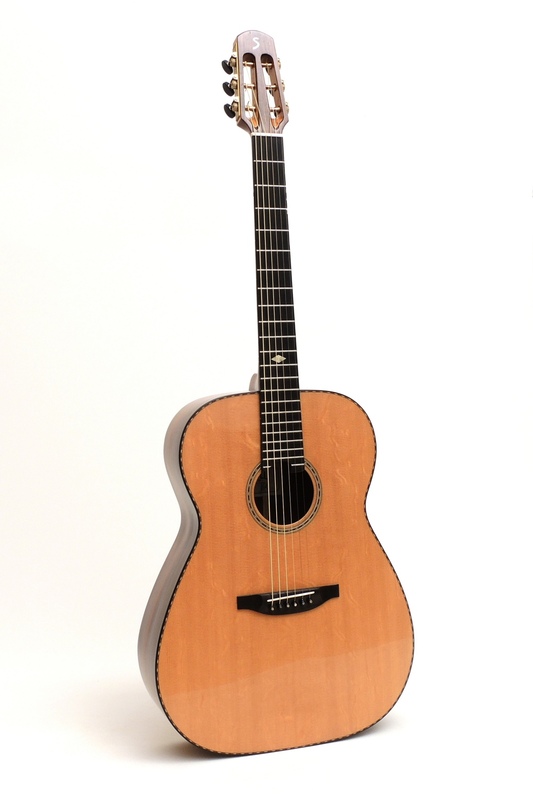 This steel string guitar is picking up proven features of the Ambition series and makes it a state-of-the-art instrument. 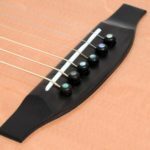 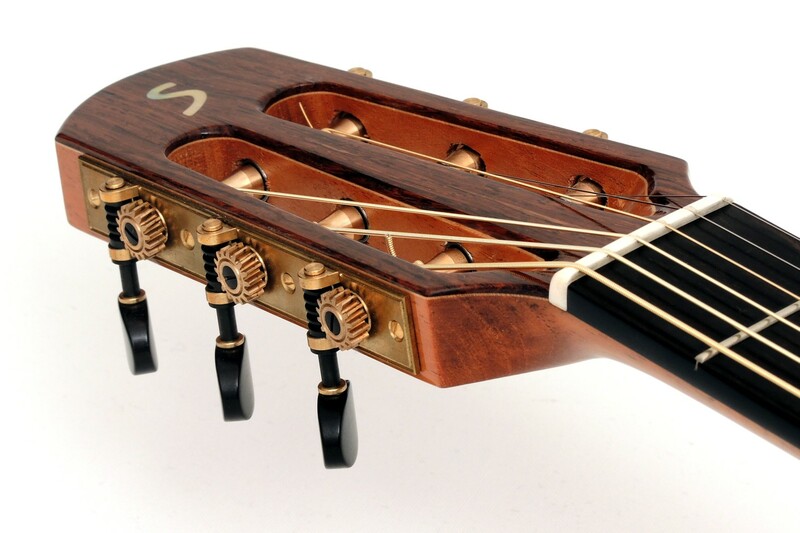 S-Custom is a surprisingly lightweight instrument with an extremely balanced feel. 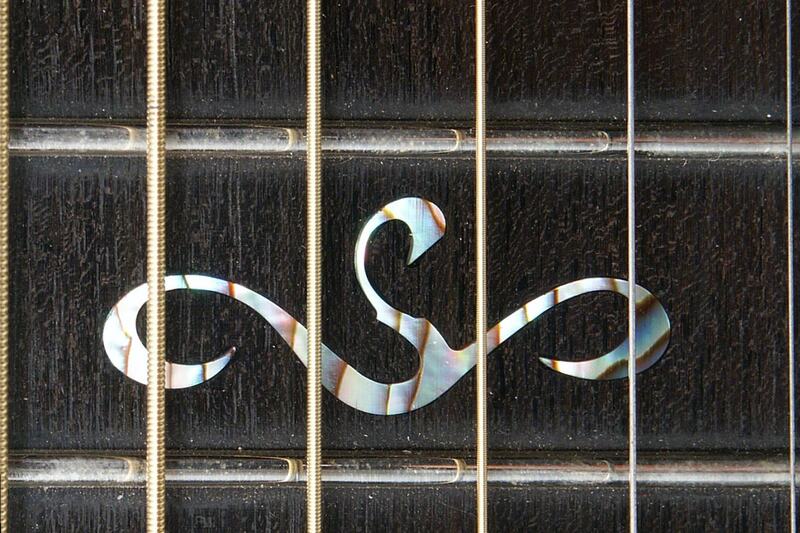 It shines with amazing volume and good sound separation. 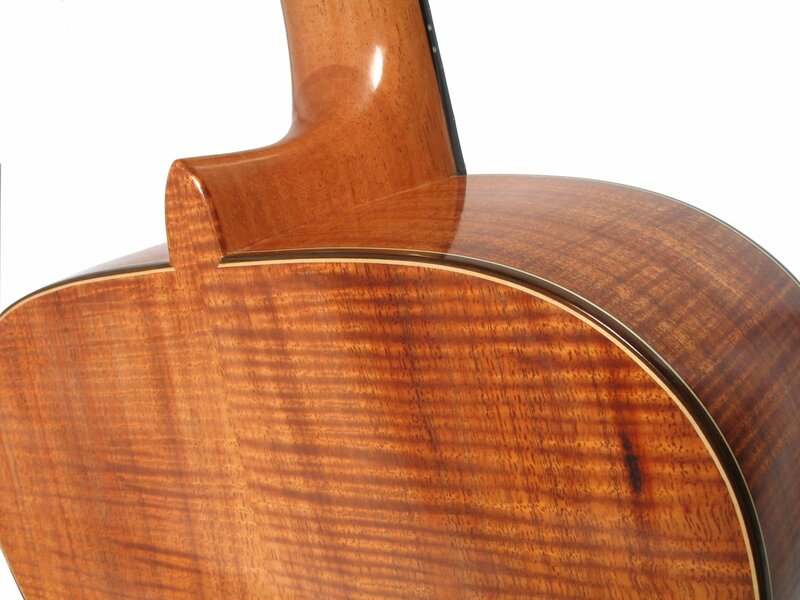 Subtle yet powerful basses, a full, warm treble and a nice mid-range make for a fine, transparent and balanced sound. 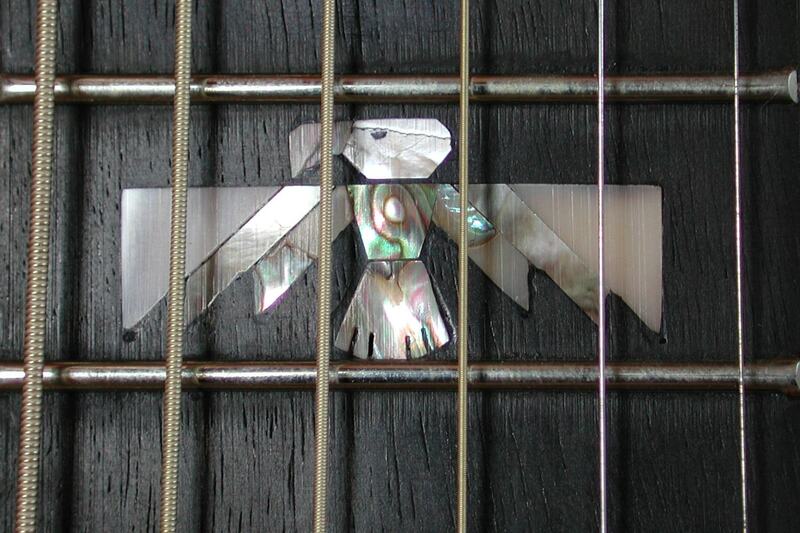 This is guitar playing at its best. 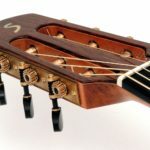 Each AAA top is individually selected in matters of its suitability in the overall concept of the instrument to be built. 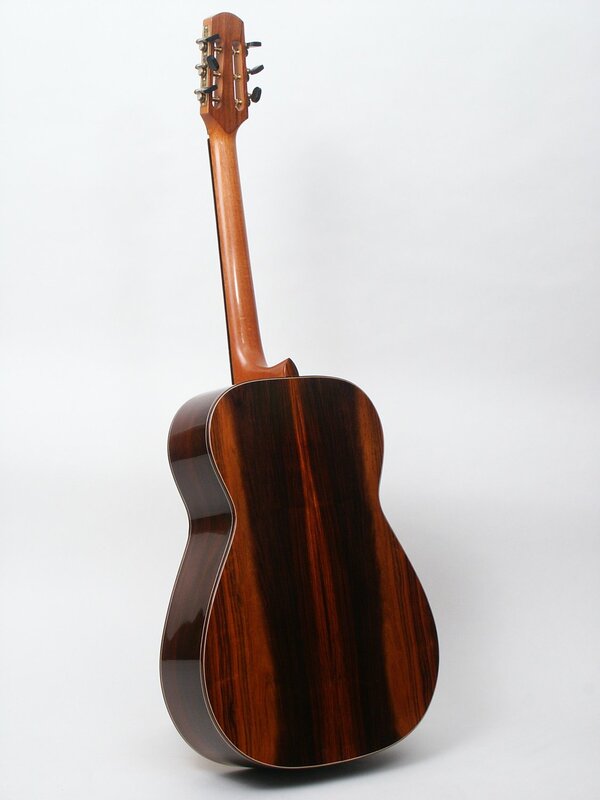 In addition to optical aspects, its sound quality is inspected by thoroughly tapping the surface. 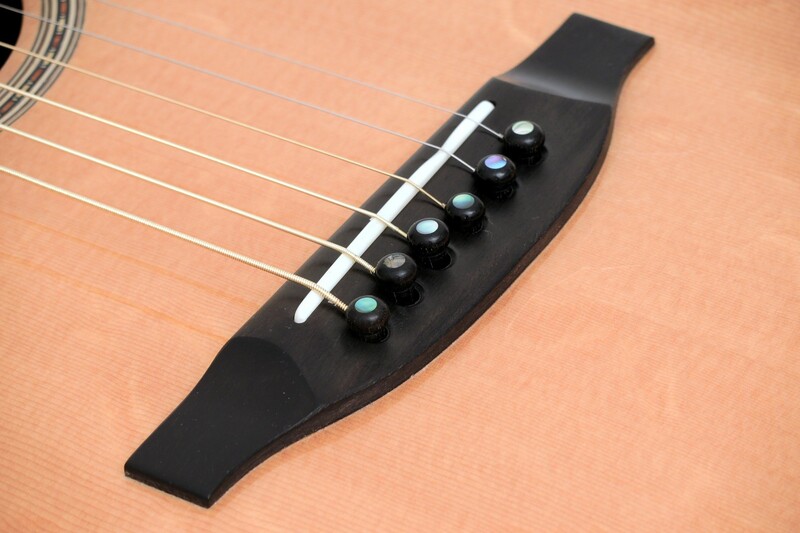 Before it is mounted, it has been finely shaped and domed, which guarantees higher stability. 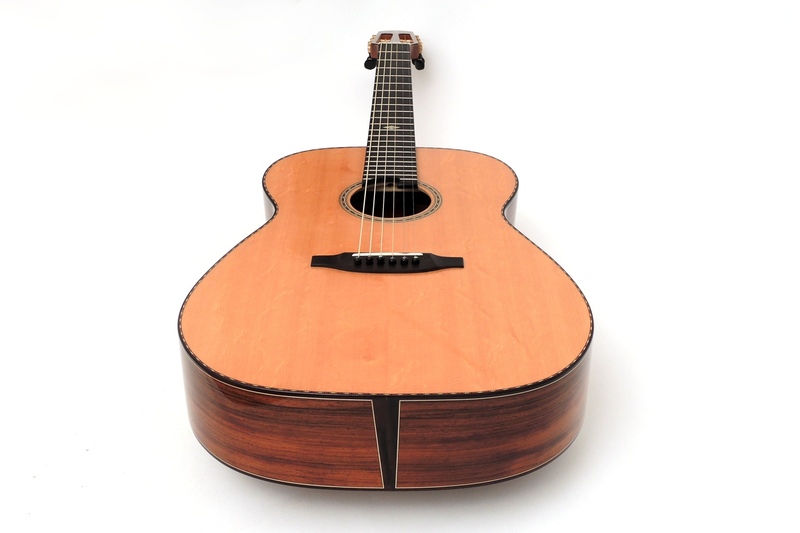 The bracing is carefully and individually carved with every single top. 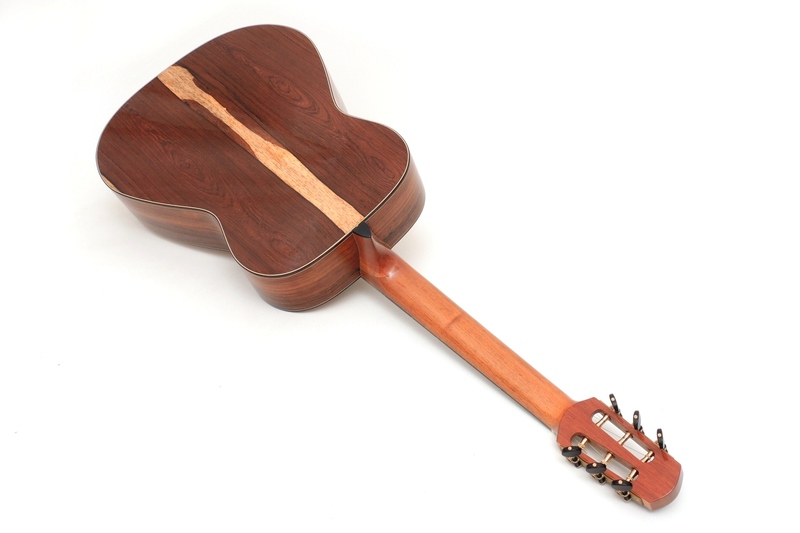 The suspension of the top is carried out with individual blocks instead of linings. 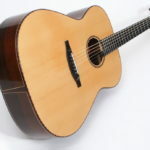 All these measures are rewarded with a high resonance, quick response and the best of sound one could possibly imagine. 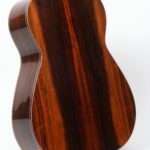 For back and sides only selected luxury woods such as Brazilian Rosewood (of course certified), Makassar-Ebony or Koa are used. 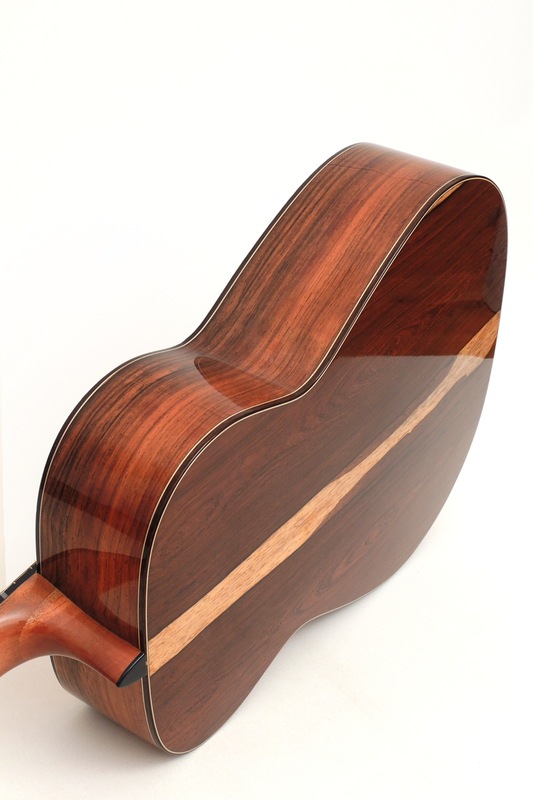 As with the top, we focus on first-class quality which is why the woods for back and sides are hand-picked. 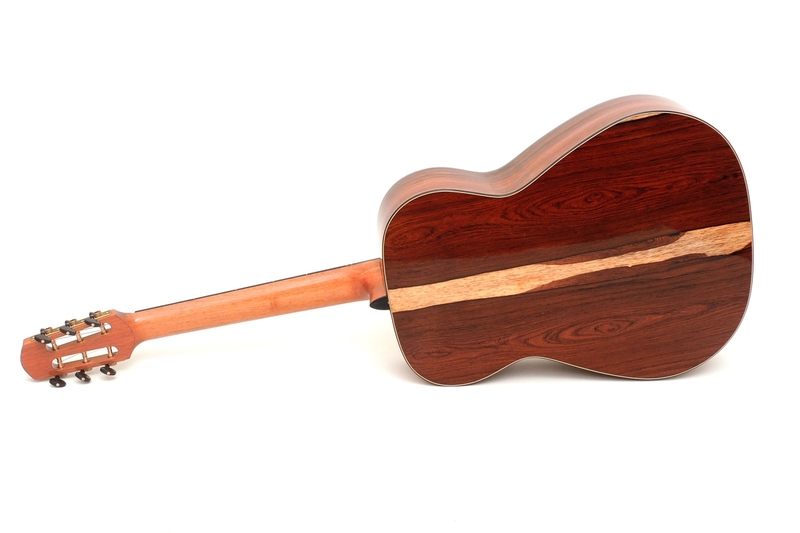 Of course we build S-Custom with Spanish neck, the best and most elaborate neck-joint. 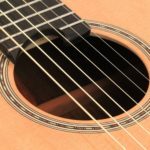 It ensures unimpeded vibration flow so not even the smallest bit of sound is lost. 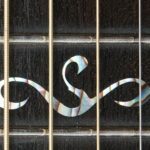 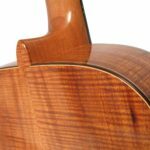 Individually adjusted string action and neck shape are just as much a concept as high-quality precision machines such as Scheller, Sloane, Gotoh or Alessi. 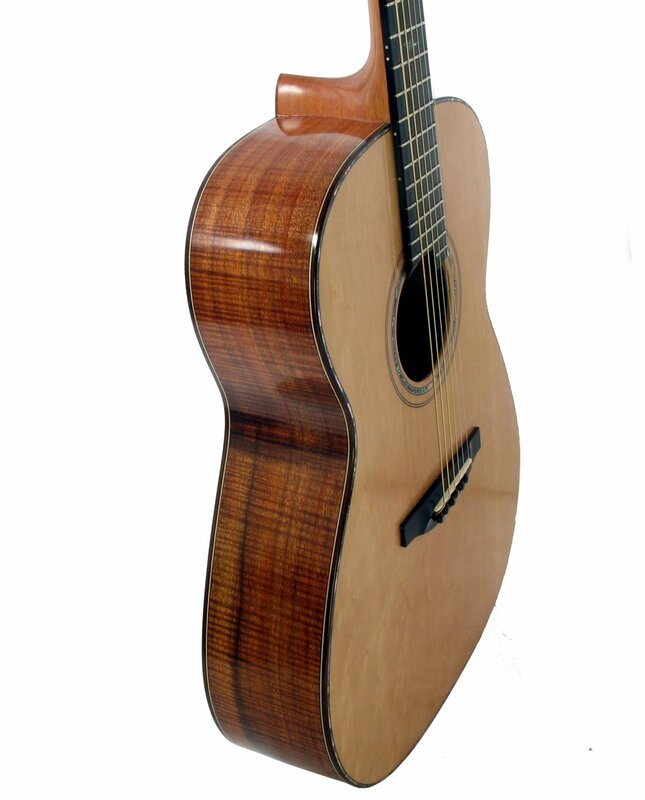 The icing on the cake is a hand-polished high gloss finish made of nitrocellulose lacquer. 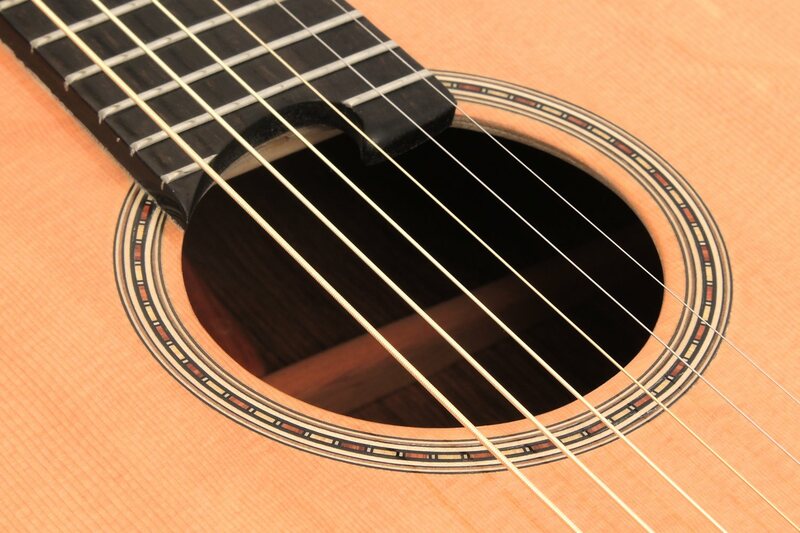 Details, such as rosette, bindings, inlays, machine heads, neck width, bridge shape etc. 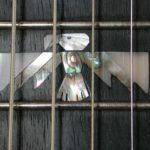 etc., are customer’s choice. 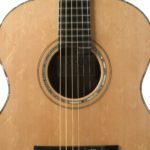 So each S-Custom becomes a unique item. 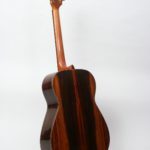 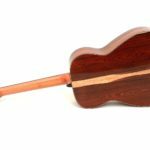 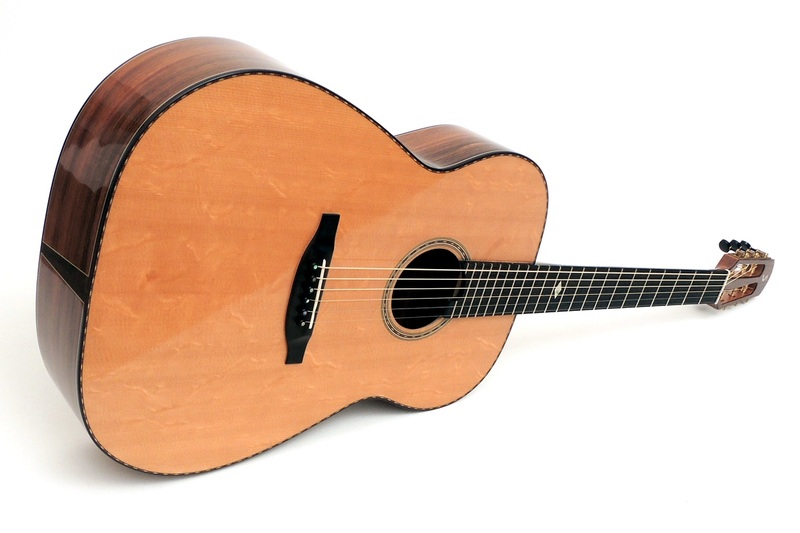 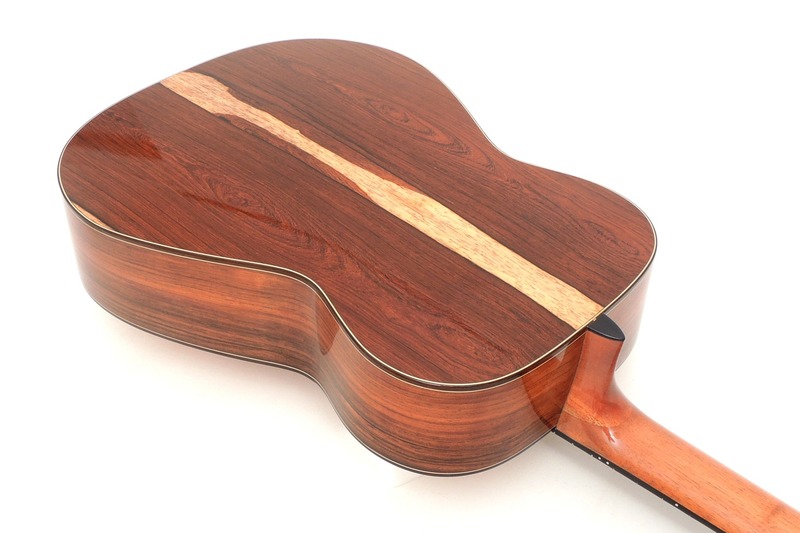 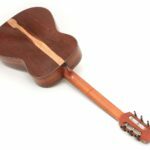 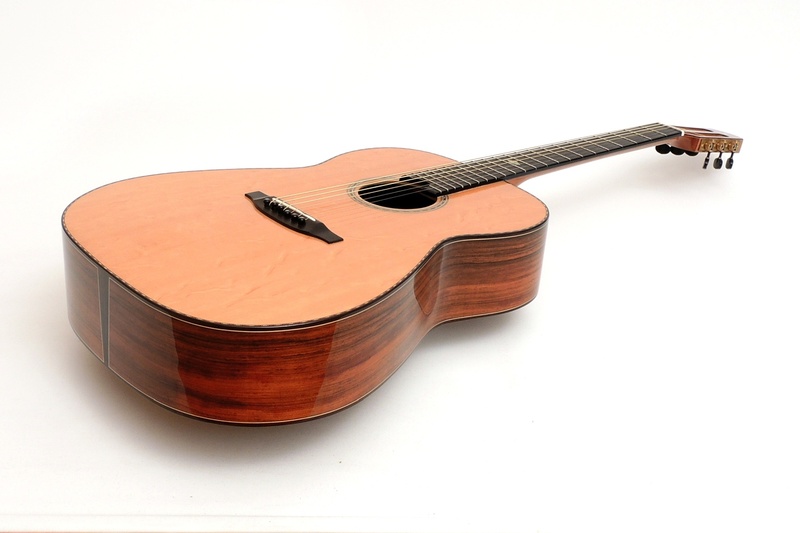 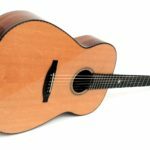 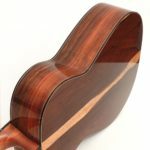 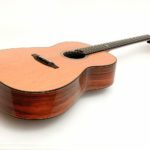 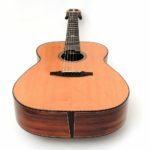 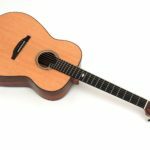 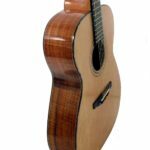 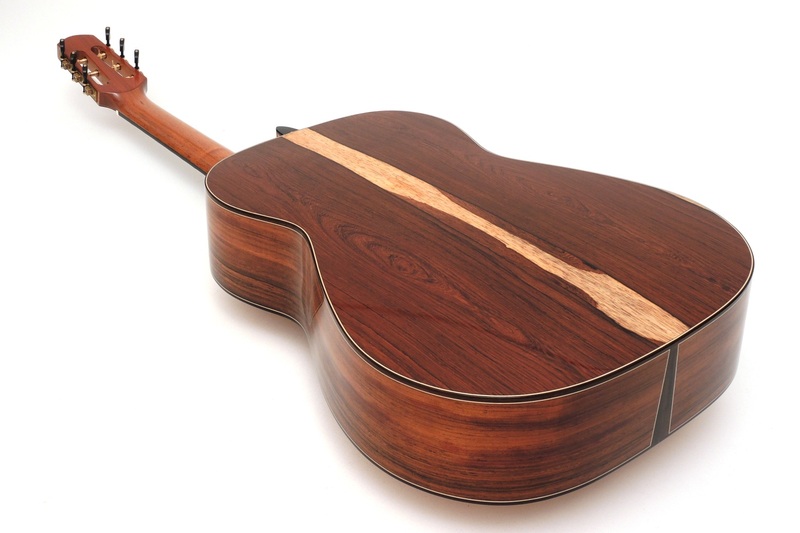 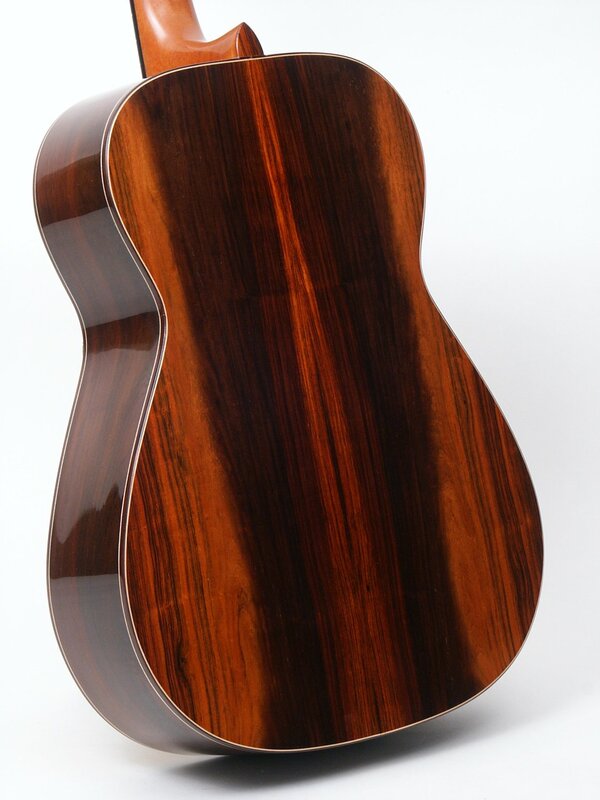 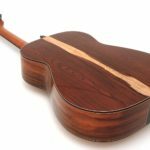 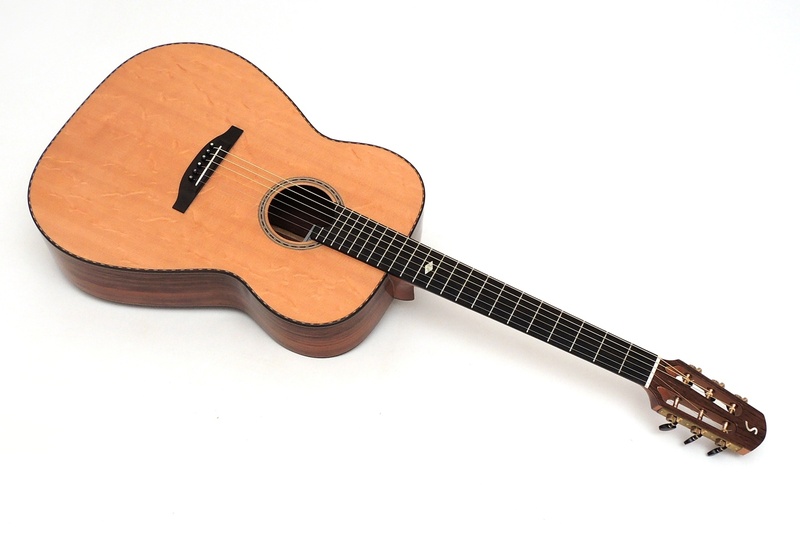 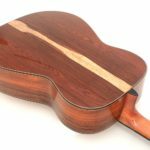 The depicted photos therefore only show examples as there are back and sides of Brazilian Rosewood with a Sitka Spruce top or Koa with a Bearclaw Sitka-Spruce top.